I grew up on these carrots. Adding depth to a naturally sweet vegetable, this recipe will make you think twice next time you reach for the steamer. As a variation, puree the carrots at the end of the recipe and sprinkle with fresh sage. Clean up your carrots with a vegetable peeler. Get rid of the tough outer skin, but try not to go all mechanical pencil sharpener on them. That’s food you’re wasting. 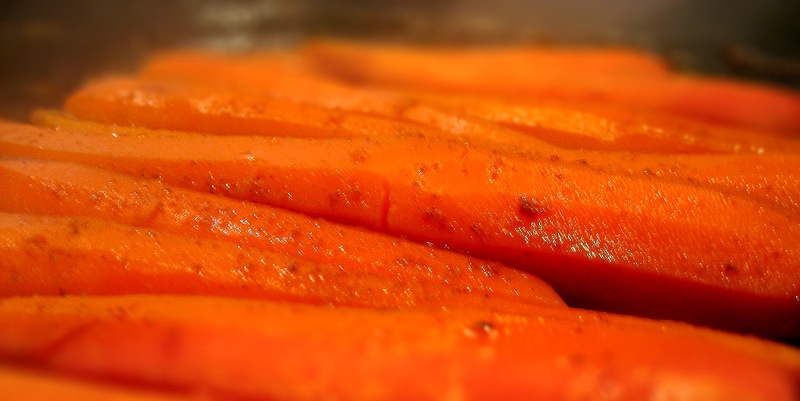 Arrange the carrots in a single layer in a large skillet. Sprinkle over the cloves and cinnamon. Toss to coat. Add the water and honey and bring to a boil over high heat. Reduce to a simmer and cook until carrots are fork-tender, about 20 minutes.